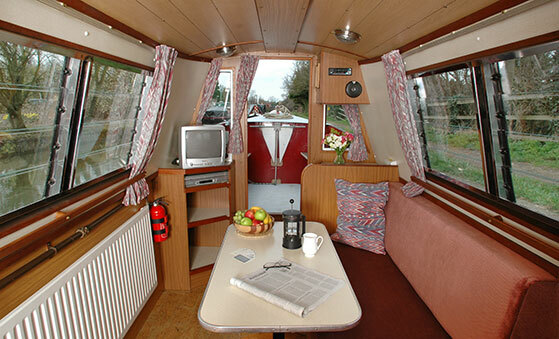 A super 4 berth class of canalboat with a versatile aft cabin where the interior sprung double berth can be converted into two interior sprung single berths. 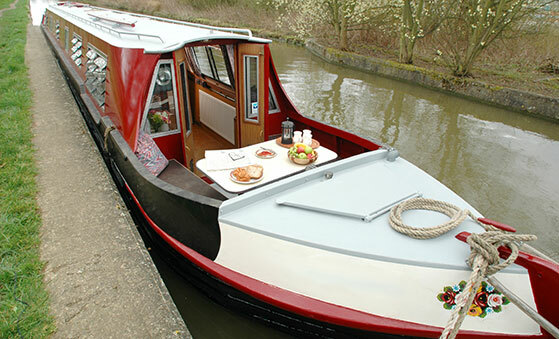 One to port and one to starboard (there is space on the booking form to specify which configuration you require). 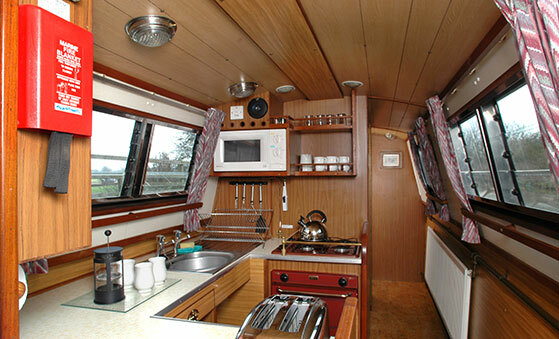 The galley is equipped with full sized cooker and four burner hob, electric fridge, microwave oven and toaster. There is a twelve volt socket for phone charging along with 240Volt sockets for laptops, I-pads etc. 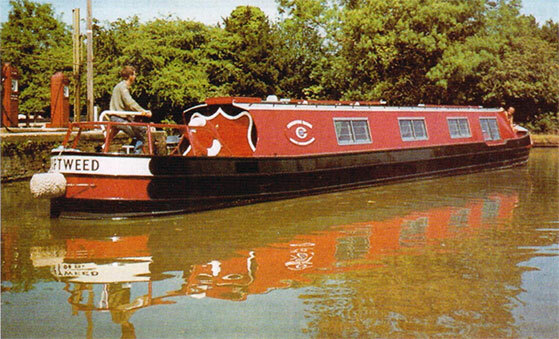 She has a new super quiet low emission engine. 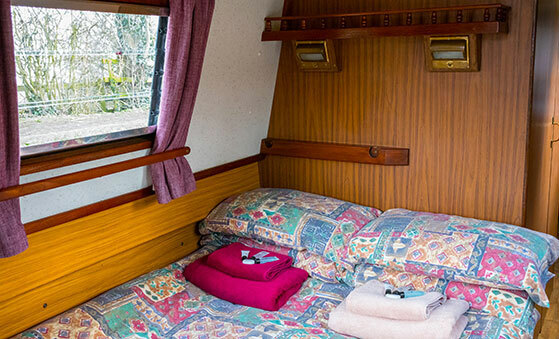 The cabin is well insulated for warmth in the spring and coolness in the summer, and has a new modern oil fired central heating system along with a constant supply of hot water. 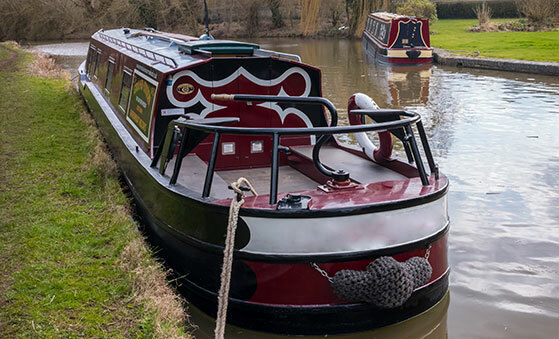 Designed and fitted out by our own craftsmen and engineers here at Weedon as were all our boats, using only the most reliable and well proven equipment available.